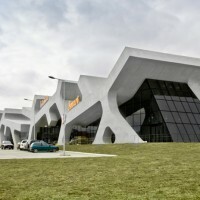 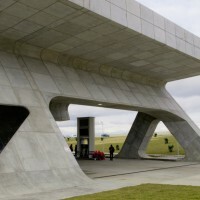 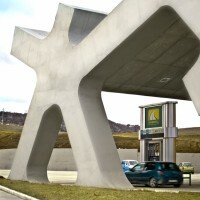 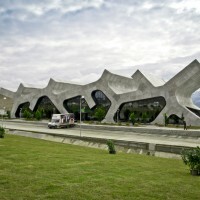 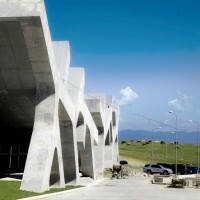 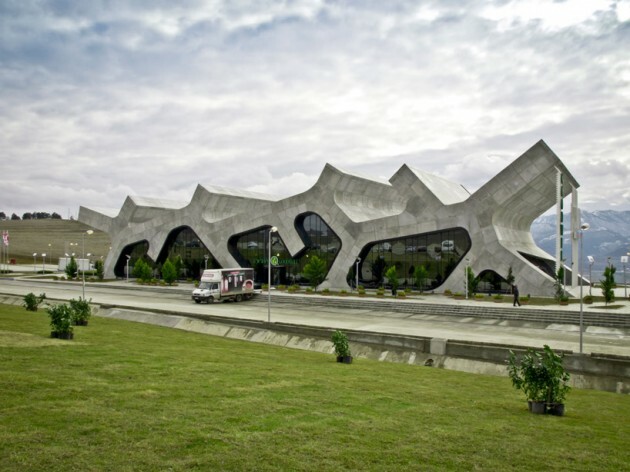 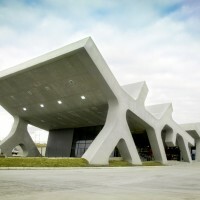 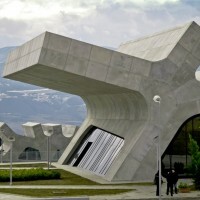 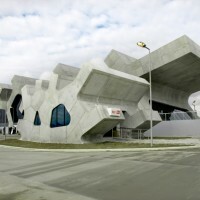 J. MAYER H. Architects have completed 2 of the 20 highway rest stops they are designing for the country of Georgia. 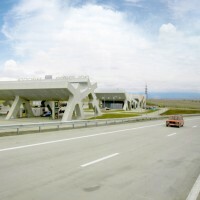 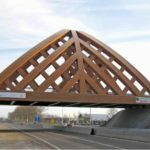 The head of the Roads Department of Georgia commissioned J. MAYER H. to design a system of 20 rest stops for the new highway, a thoroughfare that will run through Georgia and serve as a connection between the Republic of Azerbaijan and the Republic of Turkey. 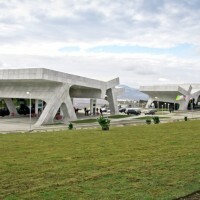 Two rest stops are now complete, while a third is currently under construction. 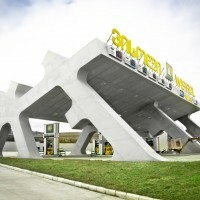 The new rest stops are located on selected scenic viewpoints along the route and serve as activators for their area and neighbouring cities, including not only nearby a gas stations and supermarket, but also a farmers market and a cultural space for local arts and crafts. 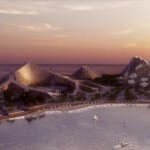 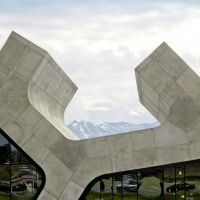 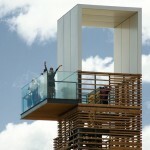 Visit the J. MAYER H. Architects website – here.